Now that practically everything can be bought and sold globally and since the US has become a service driven economy, more businesses are getting into the foreign exchange game. 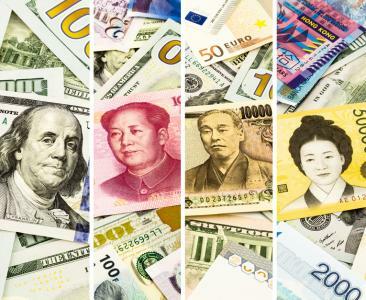 As the name indicates, foreign exchange (or FX for short), is the global market where one currency is exchanged for the currency of another from a foreign country. It is that simple. To exchange currencies, governments want to be sure activities are controlled, which is why almost all of it occurs through banks scattered all over the world. Trading activity or currency exchanges happen 24 hours per day because this is happening globally so every time zone comes into play. If you think about this in its most simple form, a business in the US wants to buy something from another business in Europe. The business in the US has our currency (US Dollars), while the selling business has their own currency (Euro). To effect a transaction, the US business must get money to the European business in a timely manner and eventually in the local currency. This whole process occurs through the international foreign exchange markets and prices are quoted to each party involved second by second so they can determine when to lock down the deal and how many of one currency will be exchanged for the other. Beyond this, the rest of the process really gets down to settlement processes between banks that each do an electronic handshake to get the currencies converted and moved through the US banking system over to the European one and eventually to the European business' local bank and into their account. The international business is an interesting one when you consider how large it is as well. Certainly, businesses worldwide buy and sell things all day long, so it makes sense the market that supports currency activity and exchanges would be active. In fact, the BIS reports the foreign exchange market averages over $5.0T per day (the number grows about $1T every 3Ys). If that sounds like a lot it is, when you consider data by Sifma that shows issuance in the bond markets this year through the end of May have been about $174B for municipals, $995B in Treasuries, and about $637B in mortgage related debt. Clearly there is a lot of FX activity no matter which market you compare it to. There has also been an upsurge in international activity by community banks over the years. Perhaps that is because 98% of exporters are small and medium sized businesses, or perhaps it's because a UPS survey finds about 25% of all small businesses are currently engaged in global commerce. Maybe it is because studies find some 66% of businesses that do business overseas report exporting contributes up to 25% of their annual revenue. We think it is because community banks have figured out how easy it is to support these customers in this area and as such, maintain and deepen customer relationships (while also earnings more fee income). After all, some 95% of the world's consumers so not live in the US and the internet has allowed small businesses operating here to reach well beyond our borders. Community banks can play a significant role here in supporting clients while ensuring relationships are maintained and nurtured. That is why we want to help you expand your product and service offerings to your customers. Our International Services team is chock-full of experts waiting to help your team lock down this business so you can lock down your business customers and help them expand too. Over the decades, exchanging currencies has become all but commonplace--get a stronghold in this area as you respond to an increasingly global world. Let us show you how to capture the international business of your customers as you expand your services by leveraging a partner that does not compete with your business. To learn about our International Services, join us for a free webinar on June 21 or June 23. Visit our website and select the date/time that works best for you. Mixed market reaction amid positive economic data, anticipation over this week's FOMC meeting and global uncertainty left yields unchanged. The latest odds put the chances of the UK staying in the EU vs. leaving (so-called Brexit) at about 65% or so, which is down from the 77% level of just last week. Meanwhile, a poll over this past weekend by YouGov PLC finds support for staying in the EU at only 42% vs. 43% who favor leaving despite the potential global impact. The vote is on June 23. The Supreme Court has ruled Puerto Rico's debt restructuring statute (issued in 2014) conflicts with federal bankruptcy law. The higher court sided with a lower appeals court ruling invalidating the law. As such, PR is now headed for an ugly default process, unless legislation working slowly through Congress actually sees the light of day. Global investors are so worried about the potential for a UK (British) exit from the Euro (Brexit) that active buying has pulled the yield on the 10Y German bond into negative territory for the first time ever. Those same strains have also driven overseas buyers into the US in droves, pulling our own 10Y Treasury down to 1.56%.